Developer's Viewpoint: On Iwata-san's Passing Part 2: Taylor Hajash From Arcane Pixel! Arcane Interview of A Legend! In memory of the late Nintendo president Satoru Iwata we recently got together with many indie developers to talk about the icon's life! In this several part feature we'll learn more about the legendary president through the eyes of indie developers! In this short second part we talked to the owner of Arcane Pixel, Taylor Hajash "creator of Tiny Galaxy" about Satoru Iwata's passing. So here's the interview! Enjoy! Interview wrote: [Q]: Thanks for joining us to commemorate Iwata's life! [A]: Thanks for having me! [Q]: Did you ever have the honor of meeting Iwata-san? [A]: unfortunately no, I never have, but hearing stories from people who did, it seems like he was a person who everyone would love to meet. [Q]: Did Iwata-san's work in the industry influence any of your games? [A]: really if you look back at his whole career, everything he did, it's almost impossible to not have been inspired some way by Iwata. But I'm a fan of his early work at HAL laboratories! 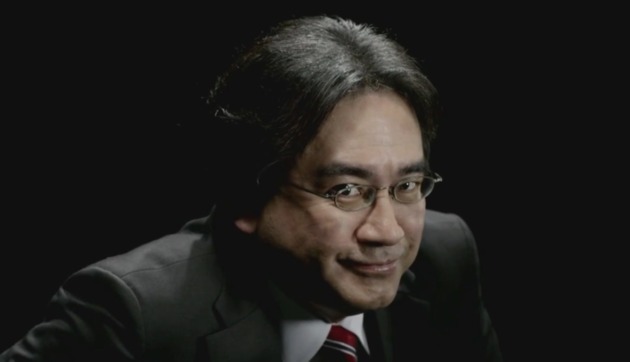 [Q]: What is your favorite memory of Iwata @E3? [A]: definitely the fight with reggie, that was so awesome! [Q]: How do you feel Iwata-san has affected the industry as a whole? [A]: I feel that he was really one of the last great game developers of our time. When other companies embraced heavy amounts of expensive dlc, Nintendo gave it away for free or made it well worth it for the player. He kept games fun and ran Nintendo in a great way. [Q]: What is your favorite game that Mr. Iwata personally helped develop? [A]: definitely his work on pokemon. [Q]: What do you think that Iwata-san will best be remembered for? [A]: Probably for the fact that he ran one of the biggest businesses in the world but still managed to be a very relatable and humble person and while.always keeping the gamers in mind. We hope that you enjoyed the interview, be sure to tell us what you thought of it in our comments below! Re: Developer's Viewpoint: On Iwata-san's Passing Part 2: Taylor Hajash From Arcane Pixel!